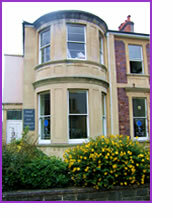 About: Pooh Corner Day Nursery founded in 1990 is situated in a large victorian house with spacious outdoor facilities. Mary Regan and Sarah Bradley lead an experienced team of four senior staff and a full complement of qualified nursery staff. The lower ground floor has been especially adapted to care for babies and toddlers under two and the ground floor nursery school is fully equipped to meet the needs of pre-school children. Pooh Corner Day Nursery can fulfill the needs of your children from three months to five years old. We aim to extend children's experience, promote self esteem and encourage respect for others. Although the atmosphere is informal and homely, there is structure and control. Whilst we encourage independence, we also give plenty of comforting cuddles. Products or Services: We provide a holistic play enviroment, where the staff understand that a child's work is play. We therefore ensure that all early years education is provided through play while following the governments Early Learning Goals. We provide extensive play facilities and a wide syllabus of pre-school education. A structured programme of varied activities is offered, geared to meet the needs of each individual child. We allow parents freedom to pursue their careers with peace of mind, secure in the knowledge that their children are happy, well-cared for and receiving pre-school education of the highest quality. Each child leaves Pooh Corner Day Nursery with carefully planned, well-balanced experiences in readiness for entrance to infant school.